Someone can die in 4 minutes. You can be taught how to Save a Life in 4 minutes. Obviously you are not going to become a fully-fledged First Aider after just four minutes training; you need a full range of skills and repeated practice. However, simple, life-saving First Aid only takes minutes to learn. 4Minutes delivers First Aid courses across the UK, so if you are looking for a First Aid Course either as an individual or as a Group Booking, then Contact us with your requirements. If there is some urgency or complication, do call us directly on 01628 56 99 22. We are headquartered in Maidenhead, Berkshire and have trainers that can come to you wherever you are in the United Kingdom. 4 Minutes does not provide First Aid cover for Events, but we do work with a number of Event First Aid Companies, so get in touch and we’ll pass your details on. 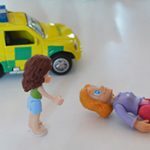 What First Aid Course is right for me? This can broadly be split into low risk and higher/high risk workplaces. 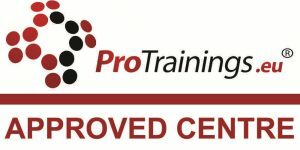 We can provide 1-day Emergency First Aid at Work or 3-day First Aid at Work courses (as well as the 2-day requalification course) depending upon the level of risk at work and the size of your workforce at your site or office. Click here for more information about Workplace First Aid courses. There are two available, an 8-hour Outdoor First Aid Emergency Action and a more detailed 16-hour Outdoor First Aid course. There is also an Advanced Outdoor First Aid course, however we do not run these. if you are interested, do get in touch and we will put you in touch with someone that does. Click here for more information about Outdoor First Aid courses. If you provide any form of childcare then you will almost certainly need either the 6-hour or 12-hour Paediatric Course. If you are hoping to provide First Aid skills to staff (e.g. lunchtime cover, after-school club staff) on top of your existing arrangements, then look at our First Aid for School Staff course. Click here for more information about Paediatric First Aid courses. If you are involved with Sports coaching then often the Emergency First Aid at Work will be sufficient for your needs, however we can also run First Aid courses wit a Sports bias to include (for instance) bone and soft tissue injuries. Click here for more information about Sports First Aid courses. Do you look after a child or baby whilst the parent(s) have to go out to work? In this day and age it is increasingly common for grandparents to act ‘in loco parents’ whilst a single parent has to work, or both parents have to work. Would you know what to do if the child or baby started choking or fitting? Do you have elderly relatives or a child heading to University or College or embarking on a round-the-world gap year. Is your son or daughter picking up pocket money babysitting? Do you want an extra skill to put onto your Curriculum Vitae? Do you have a pet and want to know more about Pet First Aid? 4 Minutes runs a number of courses that will prepare you or a relative for such emergencies. They are very informal, laid back non-certified courses and can be run at your own home (subject to space). Think of them as 21st Century Tupperware parties! Click here for more information about Home and Family First Aid courses and also look at our Bespoke First Aid page. Does what you want not fit into anything above? Give us a call on 01628 56 99 22 or email us to discuss your options. We can run tailored courses of any duration to suit any need. Where do you run First Aid courses? Group Bookings. We run First Aid Courses all across the UK. 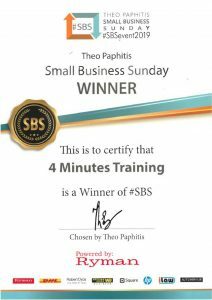 We are based to the West of London in Berkshire and have a Network of Trainers across the United Kingdom in Scotland, England and Wales. If you are looking for a Private Booking, we can run it wherever you are. If you do not have enough for a full course, we can advertise the spare spaces and share the income from any sold. Individual places, If you are looking for an individual place, check out our Calendar page for courses. If your location and course is not listed, do email us and we will add you to our waiting list, however this will tend to be spare places on private courses so difficult to forecast.